At Chabad Youth, we are constantly working on improving our policies and procedures, in order to, amongst other things; provide the safest environment possible for your children. We have been working closely with various community and health organisations to develop a practical and meaningful set of policies and procedures, that take into consideration the vast array of activities run by Chabad Youth, and the various staff members involved. As part of our reviewed policies, you will notice that more of the larger functions and all Shabbatonim will be advertised with a more detailed flyer, but will also be accompanied by a permission slip which parents will be required to complete. 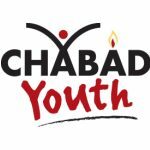 However, Chabad Youth also holds numerous programs (including Bnos, Messibos Shabbos, Mishmor, afterschool functions, learning programs and get-togethers), for which it is impractical to hand out permission slips. At the same time, in the interests of the safety of your children, it is still important for the leaders in charge of the program being held to have relevant emergency contact information and health details in case an emergency does arise. As part of our new policies and procedures, we have therefore initiated a generic permission slip and emergency form to be completed by parents at the beginning of each year. This will allow us to ensure that as the organisation responsible for your child, we are able to act swiftly and correctly in the case of an emergency. This information is to be held in strict confidentiality and will only be handed out to the relevant people on a need to know basis. We ask all parents to please complete the form online at www.chabadyouth.org/form . Alternatively it can be printed out and handed into any of the school offices in an envelope clearly addressed to Chabad Youth and it will be forwarded to our office. We thank you for your support and look forward to a wonderful year ahead. There may be times when the child has an accident, illness or injury and the parents/gaurdians can not be contacted. Please nominate a person who is authorised to care for the child. Are there any court orders relating to the powers, duties, responsibilities or authorities of any person to the child or access to the child? No ﻿Go to Section E.
Please note, it is your duty to advise Chabad Youth of any subsequent changes or amendments to orders that may impact on the safety of the child(ren) or Chabad Youth’s ability to safeguard the child(ren). Yes, i give permission for this child to go home by him/herself. Please nominate two people you authorise to collect the child. If yes, please provide details of any special needs and any management procedure to be followed with respect to the special need. If yes, please provide details of any allergies and any management procedure to be followed with respect to the allergy. Has your child been diagnosed at risk of anaphylaxis? Yes No If you answered no please proceed to the next question. Yes, my child has an auto injection device. Yes, the anaphylaxis management plan has been provided to Chabad Youth. Does your child have any other medical conditions (e.g Asthma, epilepsy, diabetes etc) that are relevant to the care of your child? If Yes, please provide details of any medical condition and any management procedure to be followed with respect to the medical condition. Other information Does your child have an aid? Is there anything else that Chabad Youth should know about the child? I understand that I will be supplied with all relevant information before an excursion, including the date, time, costs, destination, travel method and a means of contact. I give permission for my child to leave Chabad Youth premises under Chabad Youth staff supervision. I give permission for my child to be transported to and from Chabad Youth via a hired bus. Agree to cover the cost of any medical expenses or treatment. Understand that Chabad Youth is only responsible for the child during the hours of service provided by Chabad Youth. Understand that Chabad Youth is only responsible for the child while s/he is under Chabad Youth staff supervision. Agree to pay for any damages to Chabad Youth caused by this child. Understand that pictures may be taken of my child and used in Chabad Youth publications. Authorize my son/daughter to be contacted by a shliach/shlucha by SMS in relation to a shiur or upcoming program. I have read and understand that Chabad Youth best endeavours to ensure my child is safe from harm, and understand my obligations to inform Chabad Youth of any changes to my circumstances that may affect the safety of my child(ren) and others from harm. I also understand what responses I may take to inform appropriate person(s) of any concerns that I might hold for my child(ren), or other children’s welfare and safety while in the care of Chabad Youth or at any time.